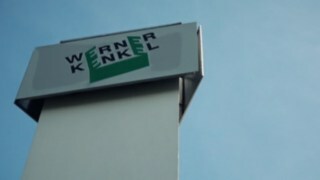 Werner Kenkel is a leading Polish manufacturer of corrugated board and one of the most dynamic companies in the industry. 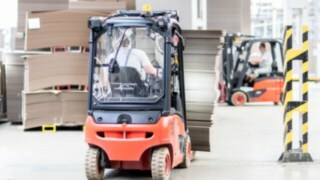 Ambitious and always innovative, this owner-managed company has been steadily expanding its market position for 40 years, supported by a fleet of tireless and totally reliable all-rounders: Linde's electric forklift trucks. Production runs around the clock. The 130 m long corrugator swallows paper raw material round the clock, rolls, throws shafts and connects several layers with each other. The result is 345 kilometres of top-quality corrugated board every day, which is then processed into packaging on site. The next production stage is printing, using either a flexo, offset or digital printing process. In the flexo printing process, the corrugated board is printed, embossed, cut, grooved and prepared for assembly according to customer requirements. The offset method, on the other hand, proves to be much more elaborate. Here, solid board is printed, then in a different part of the plant, fitted mostly on double-layered corrugated board. “These are two very different processes, which is why they take place in two separate areas,“ explains Waldemar Borowiak, Deputy Technical Director at Werner Kenkel. 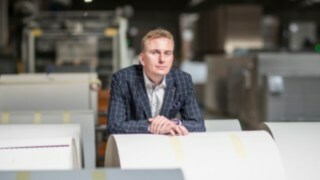 “The offset process is catered toward the customers’ increased needs in terms of colour quality.“ Borowiak points to the workplaces where the printing is inspected – colour quality is very important for these orders. Werner Kenkel is working intensively on innovations for all printing processes. At the main site in Krzycko Wielkie in West Poland, around 1,000 employees are constantly working on the further development of the products. "We're actually always expanding," says Damian Kenkel. Together with his brother Adam, he directs the fate of the company. Both are entrepreneurs of the purest water: profits are reinvested in the company immediately, so that the increasing demand can be met quickly. "The market is changing. Today, more and more individual customer solutions are in demand. This is what we want to and can serve - both in Poland and internationally. Our export share is currently 20 percent. For example, we deliver to Germany or the Scandinavian countries such as Denmark or Sweden. There is still plenty of potential." Linde electric trucks - here, there, everywhere! In Krzycko Wielkie, approx. 900,000 square meters of corrugated board are produced per day in 3 or 4-shift operation. From the delivery of the raw material on rolls weighing up to 3,500 kilograms to the loading of the corrugated board plant and interim storage prior to further processing, to the loading of the 80 to 130 trucks that leave the site every day, goods handling must run smoothly. Approximately 80,000 pallets are moved here every month," says Waldemar Borowiak. A total of 60 vehicles from Linde are in use at Werner Kenkel. 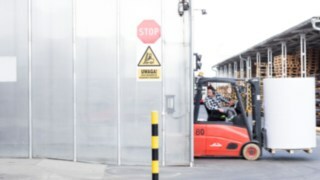 Linde forklift trucks are the perfect solution for our production flow. Most of them are electric forklifts with a payload of 1.6 tons. They unload rolls, store them, pick up paper layers, transport finished corrugated board from one part of the hall to another, stack empty pallets, deliver finished cardboard boxes to the shipping point - in short: they are simply everywhere. 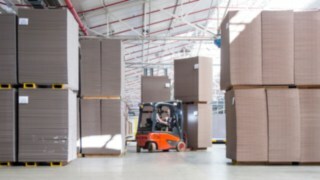 "Linde forklifts are the perfect solution for our production process. They are extremely manoeuvrable," explains Waldemar Borowiak," because they rotate within the vehicle's contours, are easy to manoeuvre and very ergonomic thanks to the decoupled driver's cab. Thanks to the periodically planned servicing, the trucks are virtually trouble-free, even though they are really in continuous operation. We can rely on them one hundred percent!" 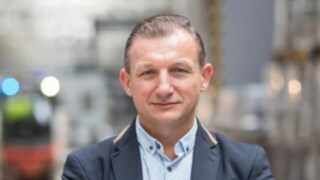 Werner Kenkel, producer of corrugated board, was founded in 1979. Since then, the company has undergone dynamic economic development. Today, only the old fireplace from the first production hall is reminiscent of the beginnings. It's the only thing the owners of the old plant left behind: With its height of 28 metres and the stork's nest on top, it clearly surpasses the new modern factory halls.